We’ve just published interim findings from a longer-term study, Study of IB students’ high school and post-secondary experiences: US public schools serving students from low-income households. Researchers examined the high school and postsecondary experiences of IB students from US public schools serving students from low-income households with little or no history of college-going. Click on the tabs below to find out more. The mixed methods study is being conducted at three large high schools in California. Researchers surveyed 1,063 current students, interviewed 36 current IB students, and interviewed 8 IB alumni enrolled in college. Classroom rigor: Both full DP and partial DP students were more likely to perceive their classrooms as rigorous compared to non-IB students. School engagement: Students taking DP courses tended to participate in more extracurricular activities than non-IB students. College aspirations: IB students tended to have higher educational attainment goals than their non-IB peers. 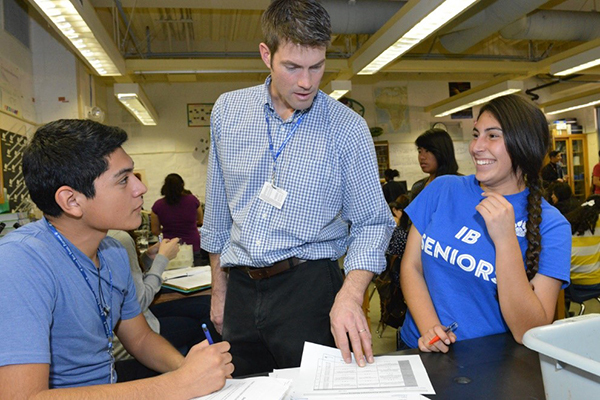 Teachers: IB students appreciated that their teachers had high expectations of them, were willing to spend time outside of the school day to provide help and worked hard to motivate students. Extra-curricular activities: DP students participated in a wide variety of activities, which provided students with additional support structures, positive self-worth, and improved academics. Transition to college: All students felt the rigor and challenge of the DP had helped them to transition smoothly to college. Alumni reported having strong study skills. Alumni demonstrated positive academic self-concept, self-efficacy, and resilience. College credit: Due to the college credit they earned through the DP, students reported being placed into higher-level courses, planning to take additional courses related to their major or to study abroad.